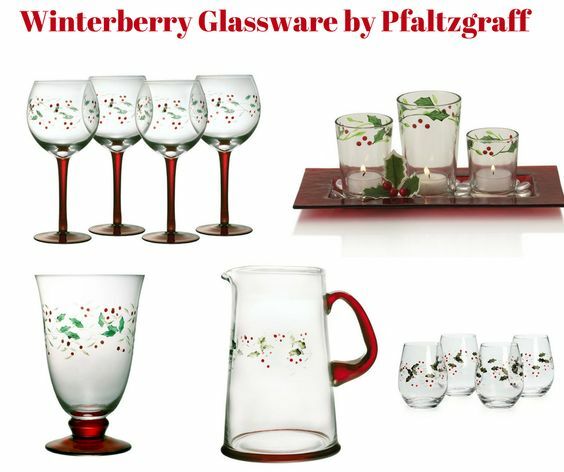 This set includes 4 stemless wine glasses with the popular Pfaltzgraff Winterberry motif. 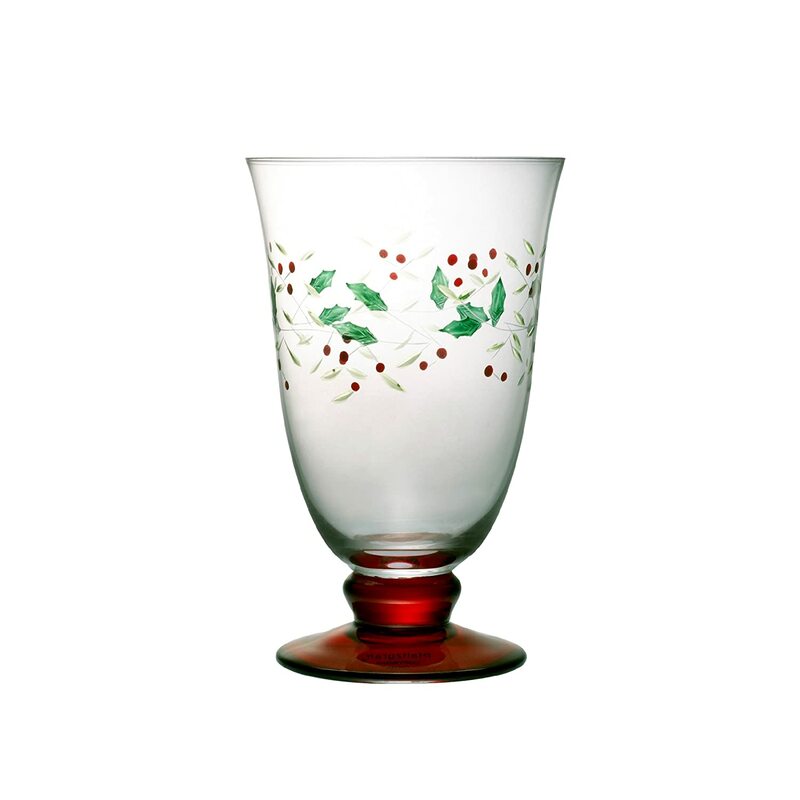 These sophisticated etched wine glasses are perfectly shaped for the maximum appreciation of bouquet, flavor and finish. 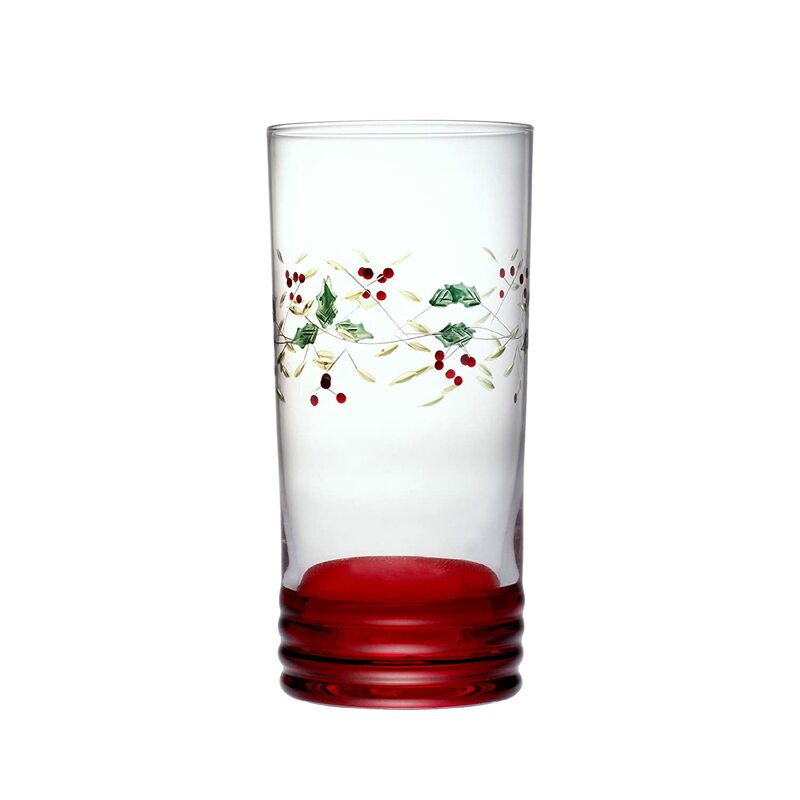 Many experts prefer stemless glasses for the full enjoyment of either red or white wine. 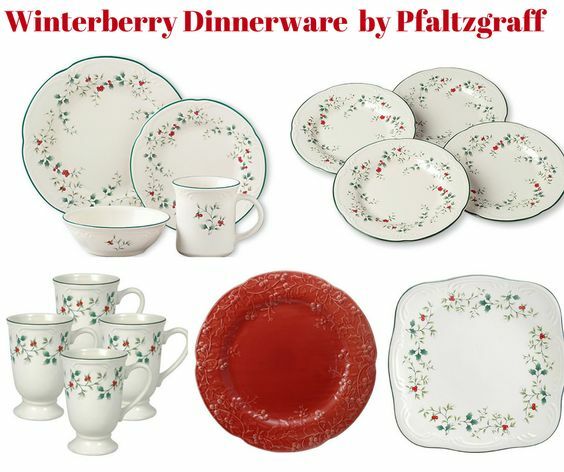 Create your ideal table setting with a full range of coordinating Winterberry dinnerware and serveware. 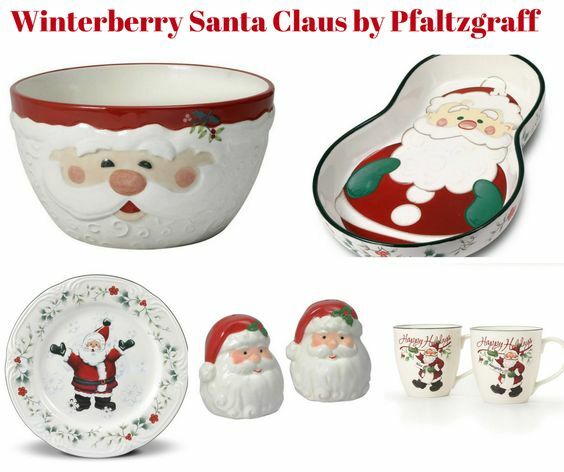 This product is not dishwasher safe. 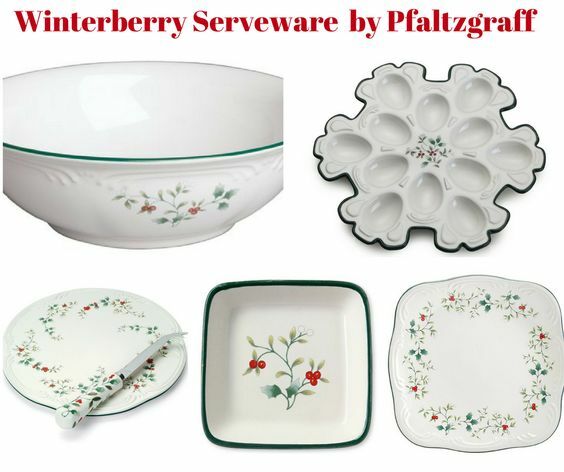 Hand wash with warm water and a mild detergent. 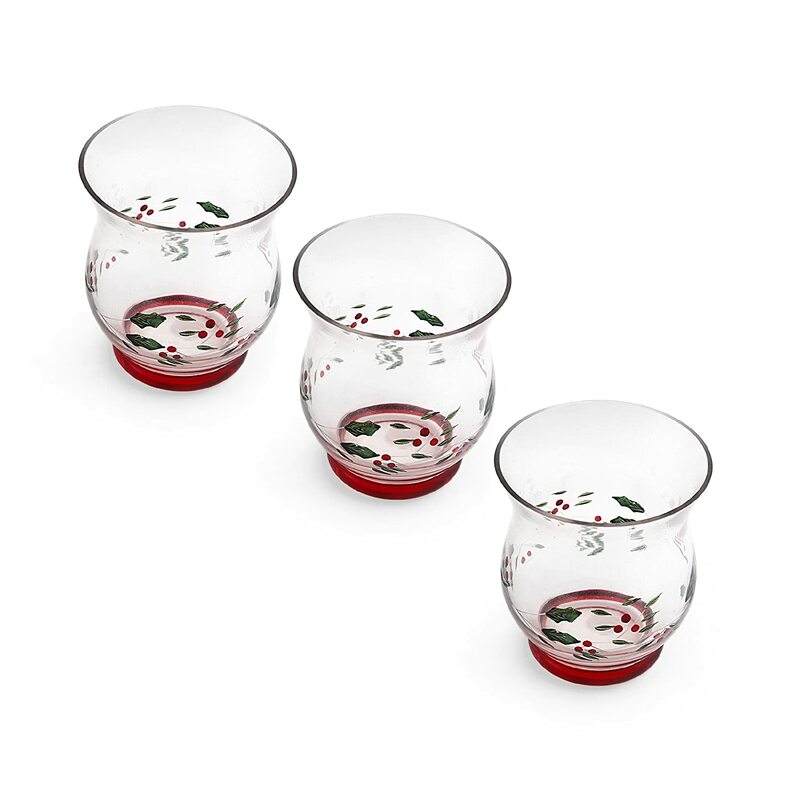 Set includes four 20-ounce cooler glasses. 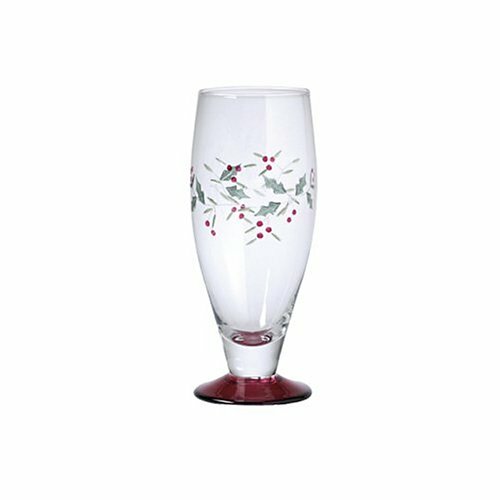 Each glass is etched and hand painted in vivid colors. 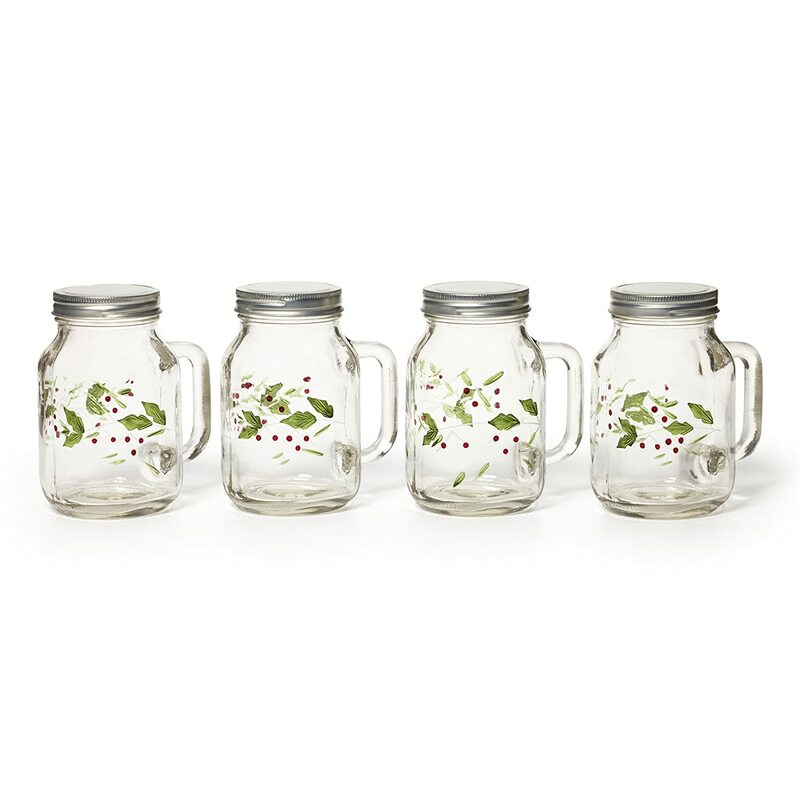 The set is ideal for serving any of your favorite cold and refreshing beverages. 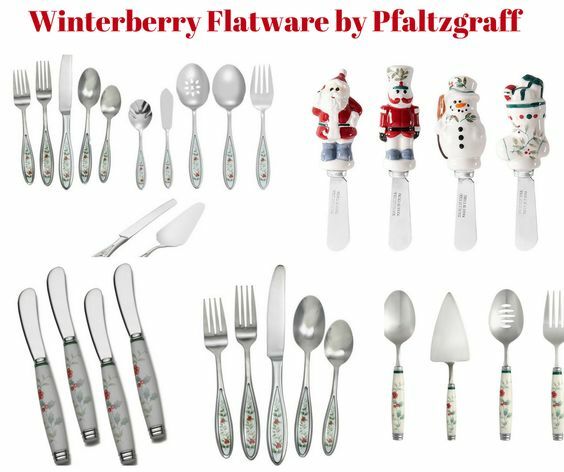 This set is part of the Pfaltzgraff Winterberry collection, featuring decorative holly, raised filigree, and a thin green stripe along the edge of a snowy white background. The glasses are recommended hand wash only. 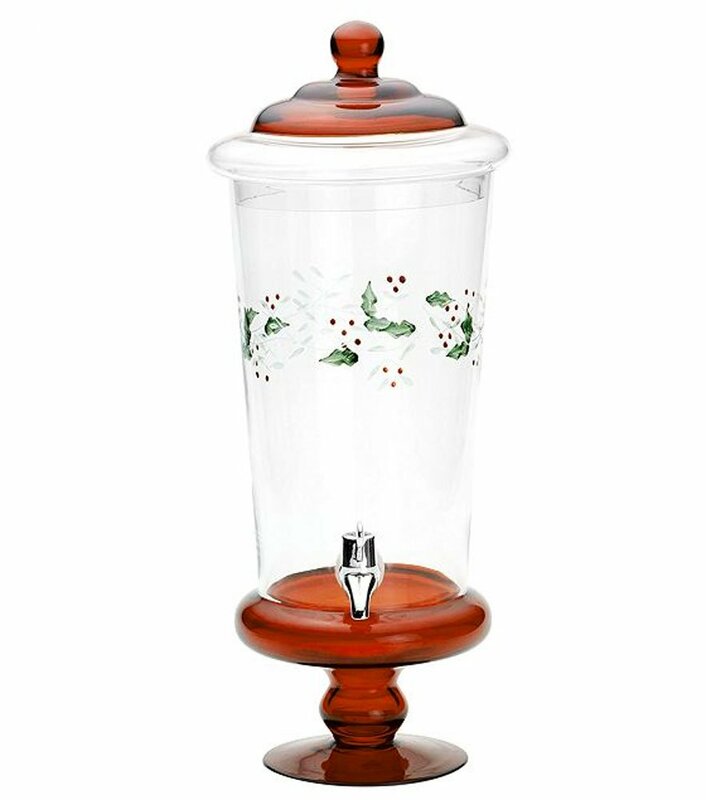 These pretty glass tealight holders will make a lovely accent on the mantelpiece or a side table and create a festive focal point on your dinner table or buffet. 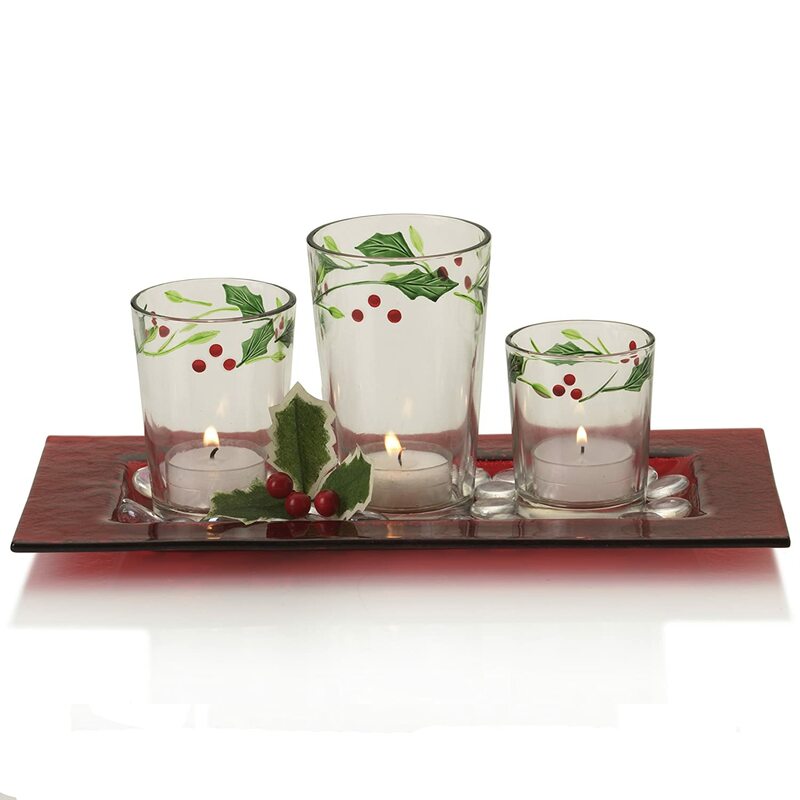 This set includes 3 glass tealight holders. 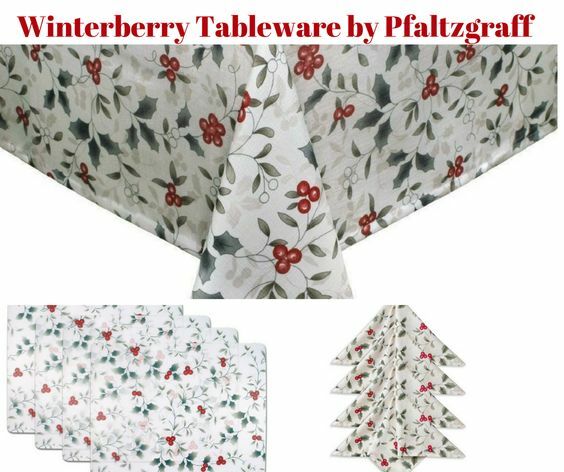 The tealight holders feature a hand-painted Winterberry pattern. 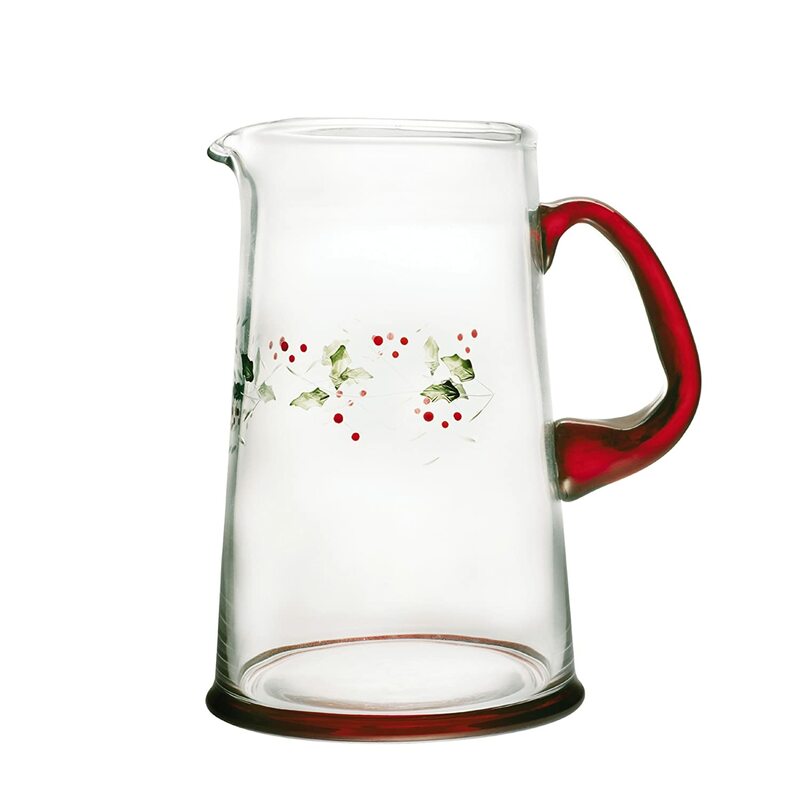 Tealight holders measure 3.15 inches by 3.15 inches by 3.54 inches. 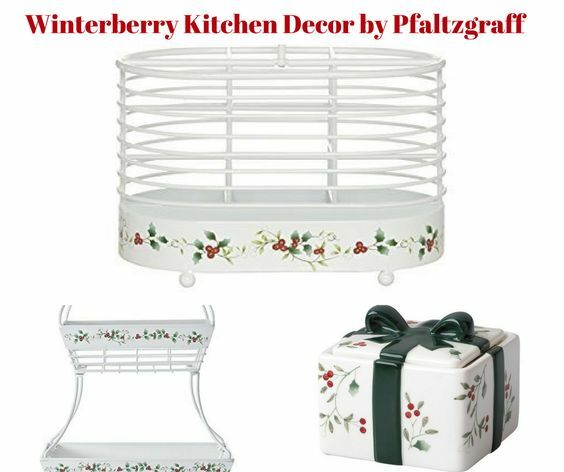 For use with tealight candles. 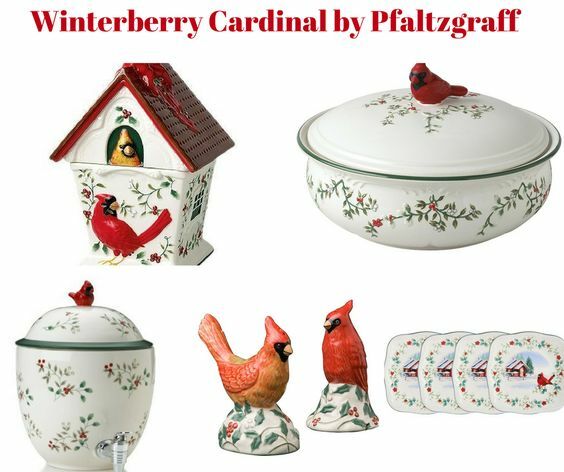 Candles not included. 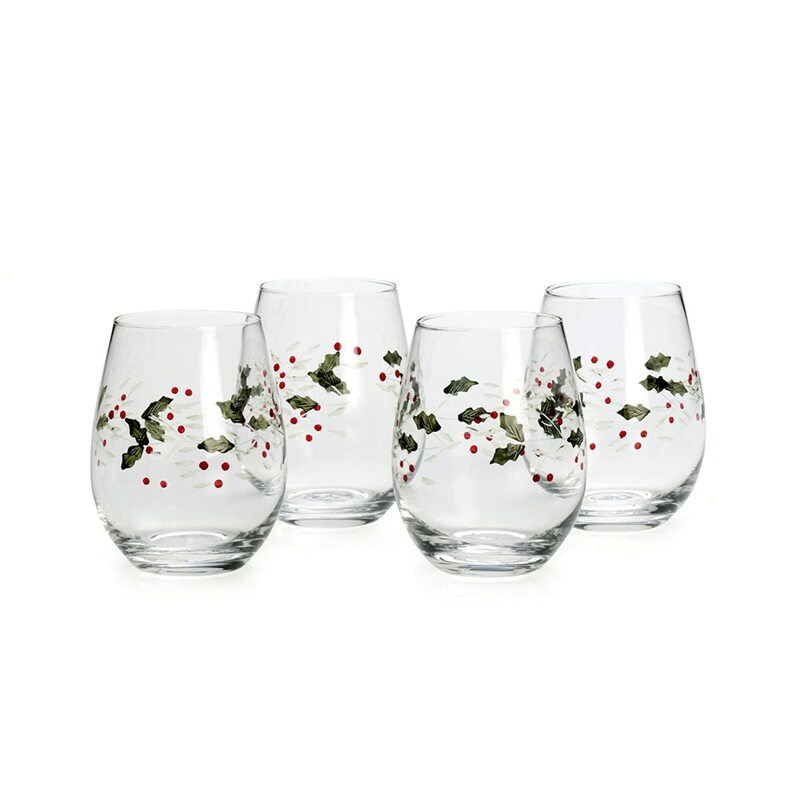 This set includes 3 glass votive cups on a glass tray with decorative gems. 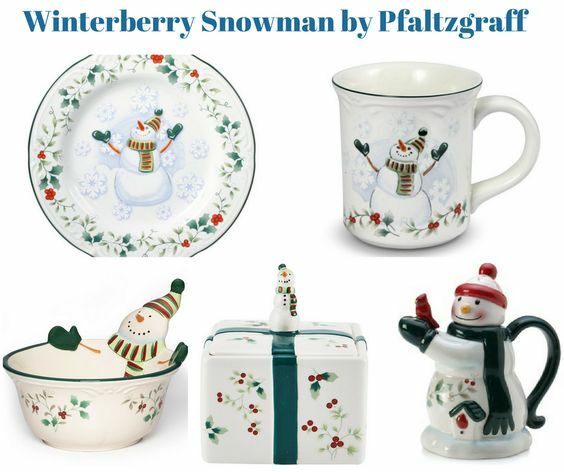 The cups and tray are made with a combination of painted and colored glass. 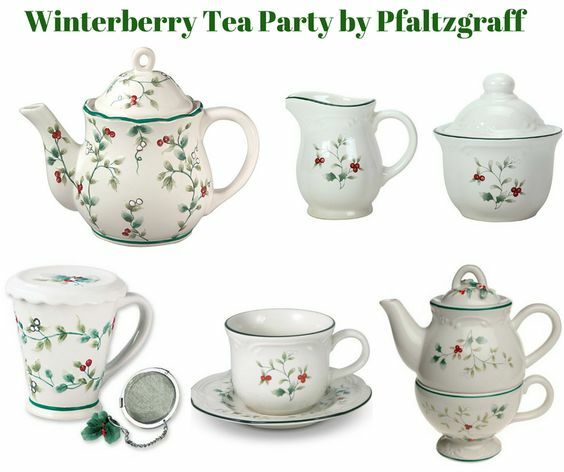 Use the festive tea light garden as an accent or centerpiece in any room. 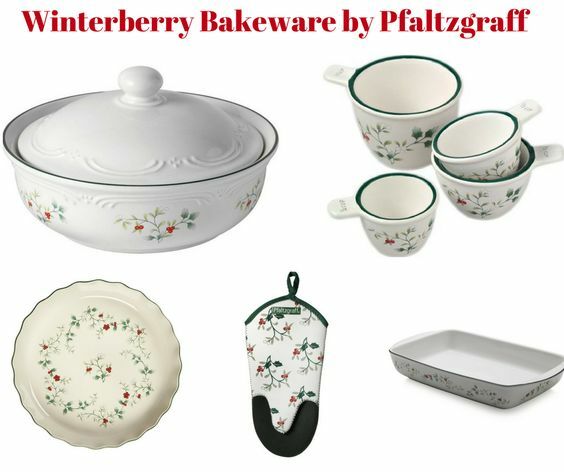 The piece features the Pfaltzgraff Winterberry collection’s holly leaves and berries motif. The votives hold 3 tealight candles, which are sold separately. 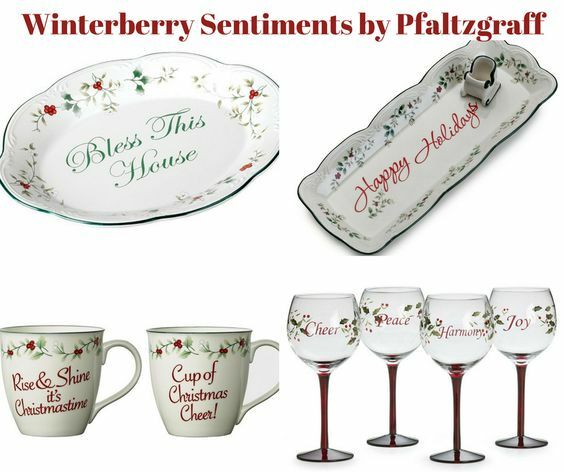 These Winterberry wine glasses are perfect for everyday use and great for casual entertaining. 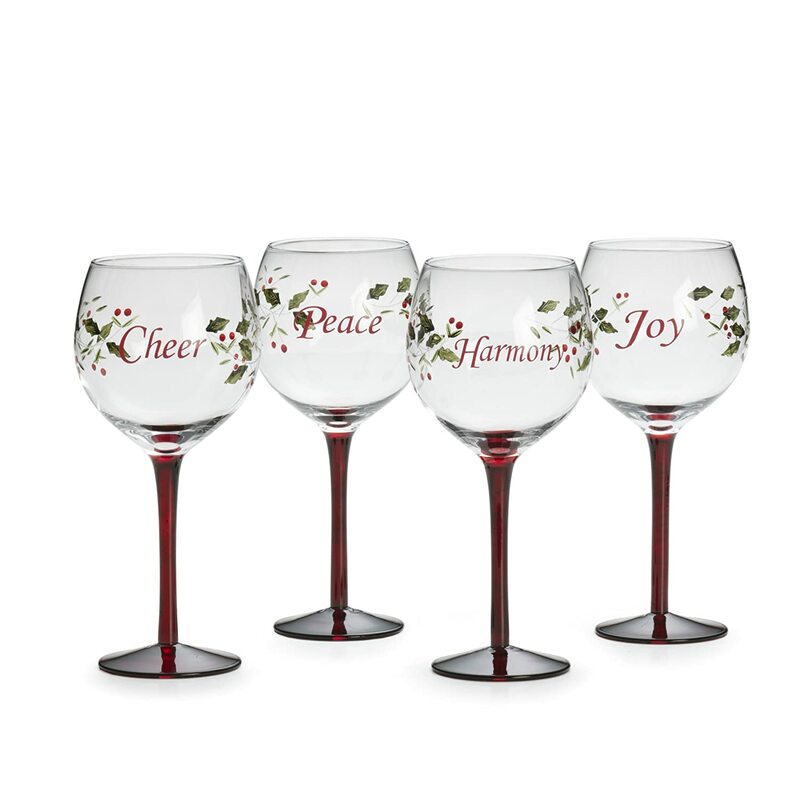 The set of 4 wine glasses features the sentiments of “Harmony”, “Peace”, “Cheer”, and “Joy”. 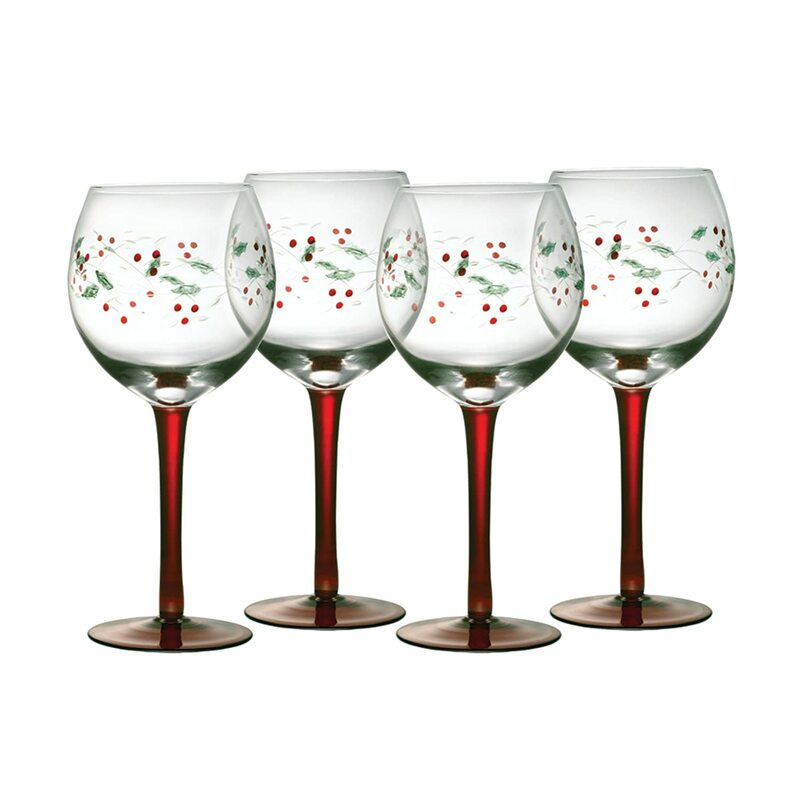 Each wine glass holds up to 18-1/4 ounces.